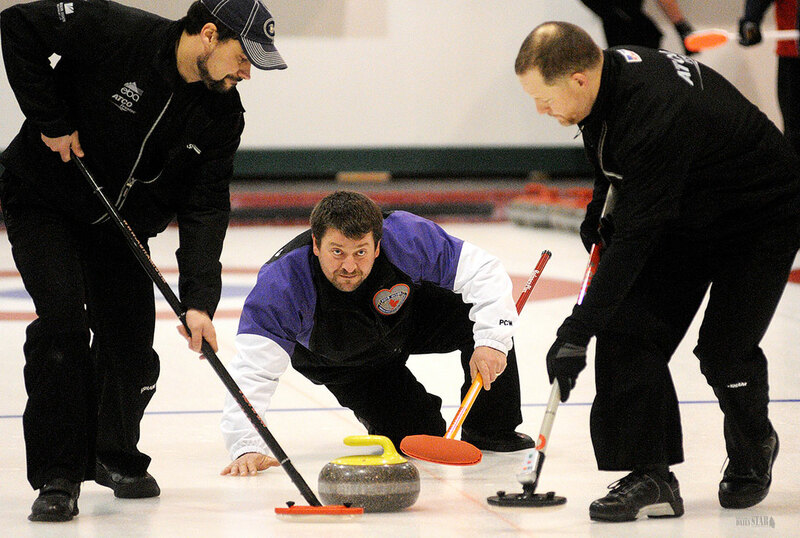 ON THE MONEY – Skip Bob Smallwood turns a rock over to teammates Steve Fecteau, left, and Clint Ireland, right, Sunday afternoon at the Whitehorse Curling Club. 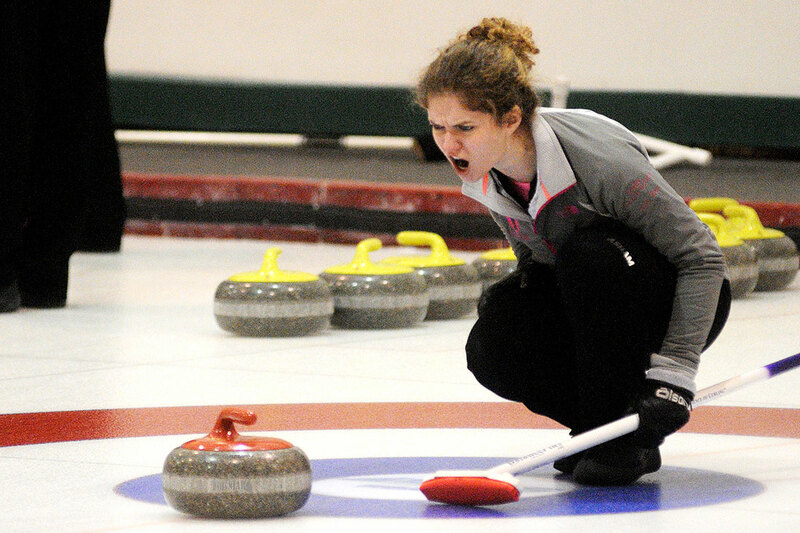 SCREAMIN’ SARAH – Skip Sarah Koltun calls for her teammates to sweep Sunday at the Whitehorse Curling Club. The money definitely helps, but Bob Smallwood said his rink isn’t satisfied with their success just yet. Smallwood and his teammates were the big winners at last weekend’s Polar Eyes Optometry Cash Spiel, pocketing $1,800 after rapping off six straight wins. Smallwood and teammates Wade Scoffin, Steve Fecteau and Clint Ireland beat out second place Ray Mikkelsen and third place George Hilderman for top honours. Eight teams competed in the two-day event with five going home with monetary prizes. Dave Rach’s rink won the consolation event, with Walter Wallingham’s team finishing second. “It pays for our competitor fees and we had a bit of pocket change left over too,” the 40-year-old Smallwood said of the $1,800. Smallwood and company are hoping to represent the territory at the 2015 Tim Hortons Brier in Calgary later this season. Scott Odian from Atlin will join the rink as an alternate player for that event. In other curling news, Pat Paslawski’s Yukon rink failed to make the playoffs at the Travelers Club Curling Championship in Halifax last week. After roaring out to a 3-1 record, the team lost back-to-back games to Manitoba 8-3 and New Brunswick 9-2 to drop out of contention. Meanwhile, Sherry MacInnis’s Atlin rink finished 0-6 in women’s play. Saskatchewan won the men’s side of the national club curling championships, while Ontario took the women’s side. Meanwhile, the Masters Yukon Championships will be held this weekend at the Whitehorse Curling Club. Winning rinks will represent the territory at the 2015 Canadian Masters Curling Championship, slated to occur here March 29 to April 5.